Welcome to the Brownfield Green news section where we keep you updated with all of the latest company news and project updates. Brownfield Green win national RICS Award for best residential development 2016. Early Construction works have now commenced on our prestigious Triley Court development. RICS Award Winners – Wales!! It’s official, we won the Best Residential project in Wales for Romilly Quarter at the Royal Institute of Chartered Surveyors (RICS) Awards. Kersteman Quarter – nearly there! The scaffolding has now been removed and the main church facade is looking really impressive. We are delighted to announce that we donated £20,007 to Frank Water in March 2016. This will fund a safe water project with tribal communities in the Eastern Ghats mountain area of India. The purchase of this prestigious Georgian country house is now complete and our conversion will begin this summer. Despite the terrible weather in recent weeks, much progress has been made on site by our hard working team. Our new Kersteman Quarter brochures are now available (hot off the press!). They are available from Richard Harding Estate Agent’s Whiteladies Road office in Bristol. Work begins in earnest on our new project at Kersteman Quarter now that full planning permission has been granted. We were all excited to see Kezia – finance director at Brownfield Green – appear on Made in Bristol TV. Kezia was interviewed about our brilliant new project in Cranbrook Road, Bristol which will see the sympathetic conversion of the chapel into amazing new homes. The wait is over! 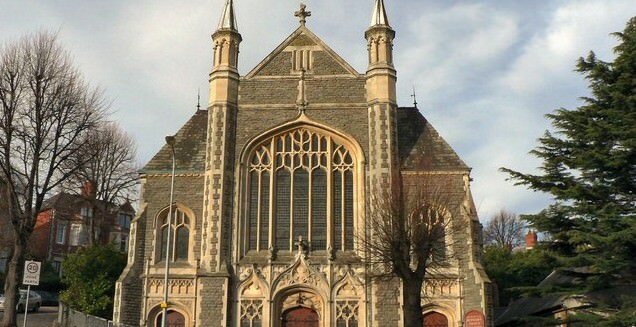 Over a year has passed since our tender was accepted on the disused ‘New Church’ on Cranbrook Road, Bristol. We’ve finally got the keys in our hands and we can look forward to creating some new ‘modern homes with history’! With sales now agreed on 8 out of 11 of our Romilly Quarter homes, we are looking forward to the release of Westwerk in the chapel building and numbers 2 and 4 in the school house building. We are pleased to report that our Open Day at Romilly Quarter last Saturday was a roaring success. With brilliant blue skies over Barry and queues of people up the street we couldn’t have asked for more! ‘Romilly Quarter’, Porthkerry Road, Barry – renovation and conversion is well underway! We’ve got it! Barry here we come! Great news – we have just received confirmation that our planning application for our new project in Barry has been approved. Work has already begun on site, clearing the ground for first building works to begin next week. Keep checking the website for further updates. For the second time we have reached the regional final for the LABC Building Excellence Award for Best Conversion, this time for our work on our previous project in Blagdon. Following on from the success of our Open day, seven of the eight properties at The View are now Sold STC. The View, in Portishead, is a beautiful mid-Victorian Church by the renowned Architect Henry Overton Wills. As another successful financial year draws to a close we have donated £6,000 to to Medecins Sans Frontiere. Blagdon Chapel is now complete.